Christov Ludwig Agricola (1667–1719) was born and died in Regensburg, Germany. Little is recorded about his life except that he traveled to several other European countries—England, the Netherlands, France, and Italy—and stayed for prolonged visits in Rome, Naples, and Augsburg. His numerous landscape paintings, chiefly cabinet pictures, are known for their remarkable fidelity to nature and skillful representation of changes in climate. 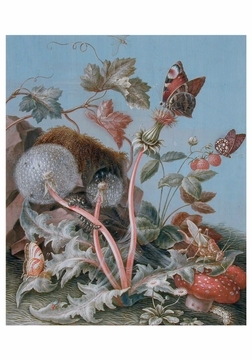 Agricola used unusual light effects, such as twilight or the darkness before a storm, to convey particular moods, and he painted with lively colors, especially ochres and deep greens for the rich tones of earth and vegetation. His artwork shows the strong influence of French landscape painters active in Italy, such as Nicolas Poussin, Gaspard Dughet, and Claude Lorrain. 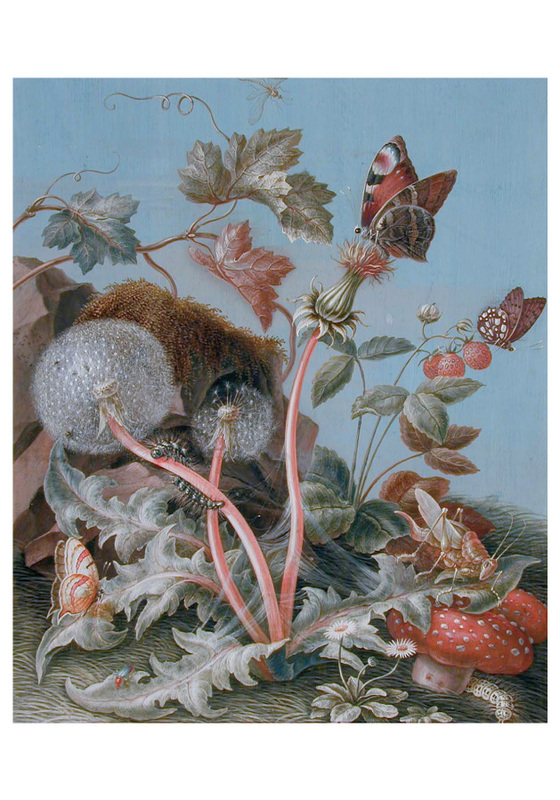 Agricola also created a number of insect and botanical paintings that are remarkable for their density and detail. These meticulous renderings in tempera paint were created at a time when the use of early optical microscopes was changing long-held ideas about the natural world. 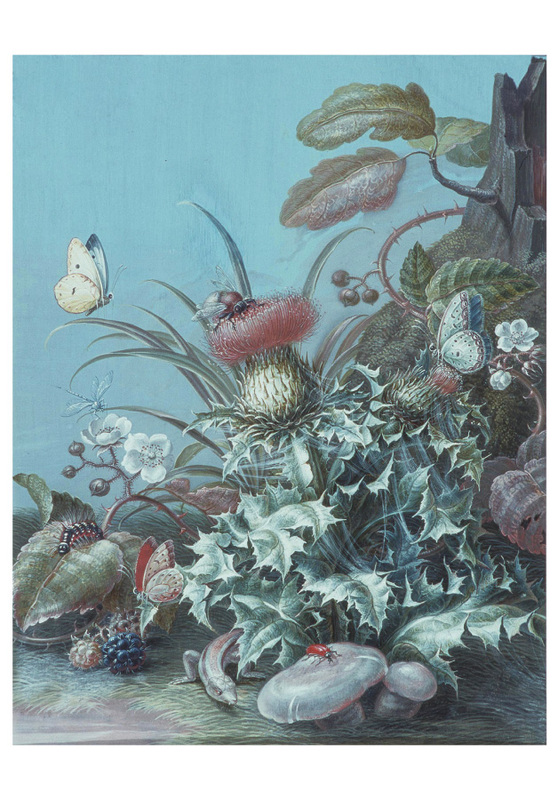 Two of Agricola’s lush, ground-level landscapes depicting insects and plants are reproduced in this notecard folio. 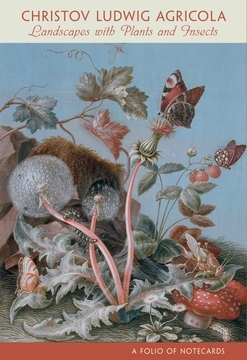 Both paintings are held in the collection of the Art Gallery of Greater Victoria. Landscape with Flowers and Insects, n.d.
Landscape of Plants and Insects, n.d.